Hemiparetic and hemiplegic cerebral palsy are not mirror images of one another, but both forms of cerebral palsy have an impact only one side of the body. Of the two, hemiplegic cerebral palsy (CP) is more severe, and may include total paralysis. Hemiparetic CP, on the other hand, usually leads to weakened muscles as well as mild paralysis, although not all of those with this type of CP experience paralysis. Approximately 60 percent of all of those with cerebral palsy have either hemiparetic or hemiplegic CP. A diagnosis is usually made before the child turns three. 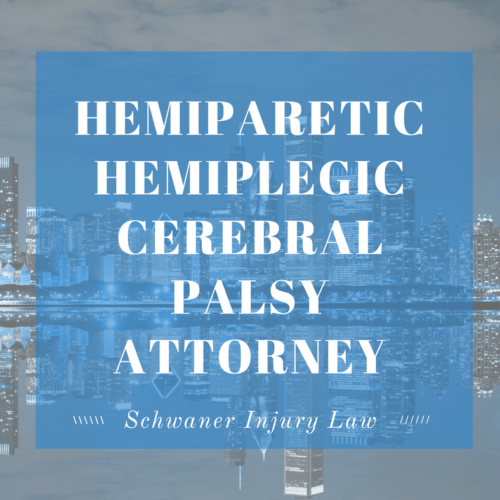 What Should You Do If Your Child Has Hemiplegic or Hemiparetic CP? Most cases of hemiparetic or hemiplegic CP are caused by fetal or neonatal strokes. Strokes are caused by the lack of oxygen associated with hypoxic-ischemic encephalopathy (HIE), birth trauma, and preeclampsia, which is maternal high blood pressure that can diverse blood – and oxygen – away from the baby. In many cases, infant strokes can be prevented, and are the result of medical negligence. Asphyxia during birth. Asphyxia is caused when the brain is deprived of blood, causing a loss of oxygen. Since oxygen feeds brain cells, without it, they begin to die off. Oxygen supply problems can be caused by many things, but a prolapsed umbilical cord, which happens when the cord exits the birth canal before the baby does, putting pressure on the cord that can seal off the baby’s blood supply, is one common cause. Either an infection in the mother such as rubella, chicken pox and pelvic infections as well as infections of the placenta can cause CP because infection increases proteins called cytokines, which trigger inflammation that can cause brain damage. Congenital heart disease. Congenital heart disease, which can involve heart valve defects or blood vessel issues that prevents blood from reaching the most vital parts of the body including the lungs and brain, can cause slow pumping of blood, preventing enough blood – and oxygen – from reaching the baby’s brain. Birth complications. Serious problems including the placenta detaching from the wall of the uterus, uterine rupture and positioning that can twist the umbilical cord during birth can cause the oxygen supply to the baby to be cut off, damaging brain cells and leading to CP. One of the earliest signs of hemiplegic or hemiparetic CP are seizures after birth, which can cause additional brain damage that can worsen CP or lead to additional health problems. One hand will be used over the other. The hand that is not used may stay in a fist position. Crawling or walking may not have symmetrical movements, since once side of the body will be paralyzed or partially paralyzed. Stiff muscles on one side of the body. Delayed milestones, including sitting up, rolling over, crawling or walking. Problems with concentration, attention span and memory. Difficulty with organization and planning. Mood swings, a difficulty maintaining emotions, irritability and hyperactivity. Hemiplegic cerebral palsy is diagnosed using magnetic resonance imaging (MRI) to determine brain damage, as well as cranial ultrasounds. While the diagnosis sounds grim, since many children with hemiplegic CP experience total paralysis on one side of their body, with therapy, children should be able to walk, climb stairs and sit or stand by the age of six. While there is no cure for any form of CP, there are treatments that can help control symptoms, improving a child’s quality of life. Some options that medical professionals may suggest include medication to control seizures, braces or orthotics to help improve walking skills and balance, physical therapy to build muscles strength, speech and language therapy to improve communication skills, occupational therapy to adapt everyday activities to suit a child’s level of disability, making life skills easier to manage, and cognitive behavioral therapy, to help ease stress and provide coping mechanisms for anxiety caused by the limitations caused by CP. Some instances of hemiplegic or hemiparetic CP are caused by problems that could not have been prevented. But in many cases, medical professionals made mistakes during labor and/or delivery that led to the loss of oxygen that cause the brain damage leading to CP. 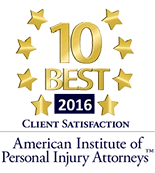 If your baby suffers from CP that you believe was caused by mistakes made by your medical team, our experienced team of attorneys can help. We will work hard to ensure that you receive the compensation you deserve for your baby’s suffering. 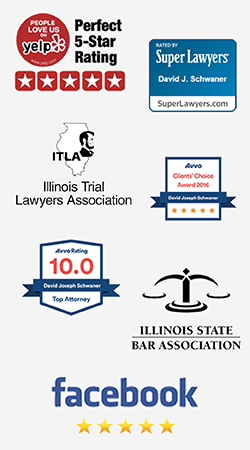 Your case is important to us, and we bring with us not only experience, but also the resources needed to call in the right medical experts in their field to help bolster your case, whether before an insurance adjuster or a jury.